Dave Turner – Seemed like a good idea at the time.. 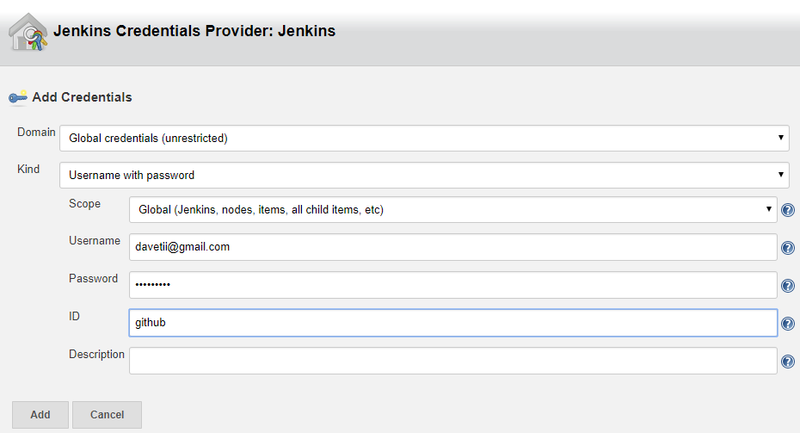 This entry will document connecting and configuring a Jenkins slave node to Jenkins master instance via ssh. The servers will run as docker containers. Ideally the docker jenkins plugin would be utilized to connect the 2 together, in the future I intend to document that approach but for now I am using the older technique of allowing the master to control slave nodes via ssh. 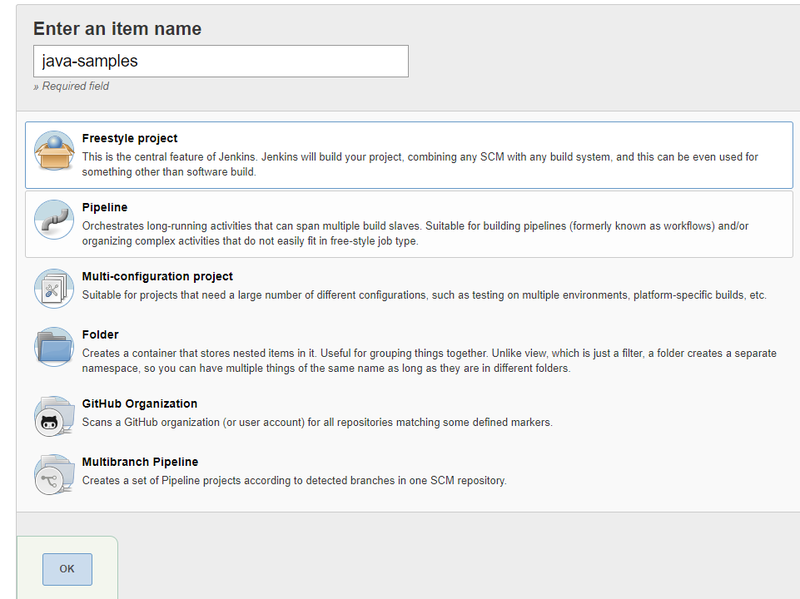 Connecting the node to the master in Jenkins and setup of tools. 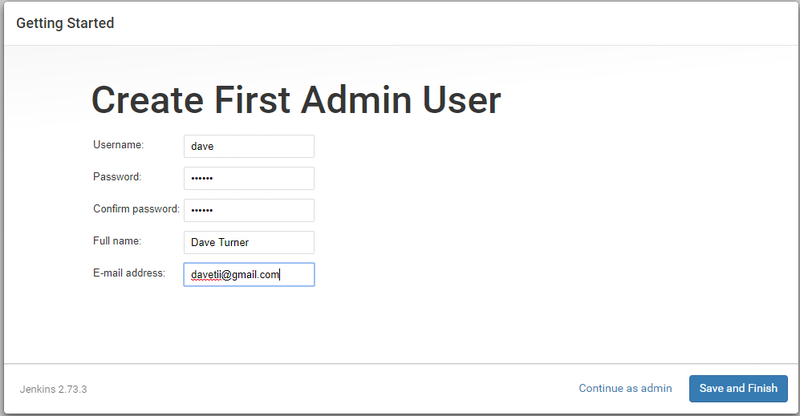 A recommendation (not a requirement) is add your Linux user account to the docker group. Without this step many of the commands in the entry will require you to sudo to execute properly. 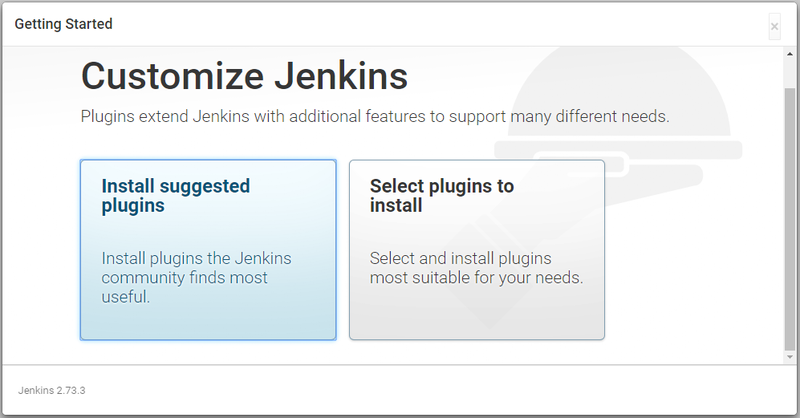 In preparation of running the Jenkins master container you will want to create a directory to utilize as the home volume on the container. This folder must be accessible by the Jenkins user in the container (jenkins user – uid 1000). You may need to change ownership of the directory to user 1000. For easy reference I am naming the container “Jenkins”, altering the default port of 8080 to port 8082 on my local machine and setting the data volume. 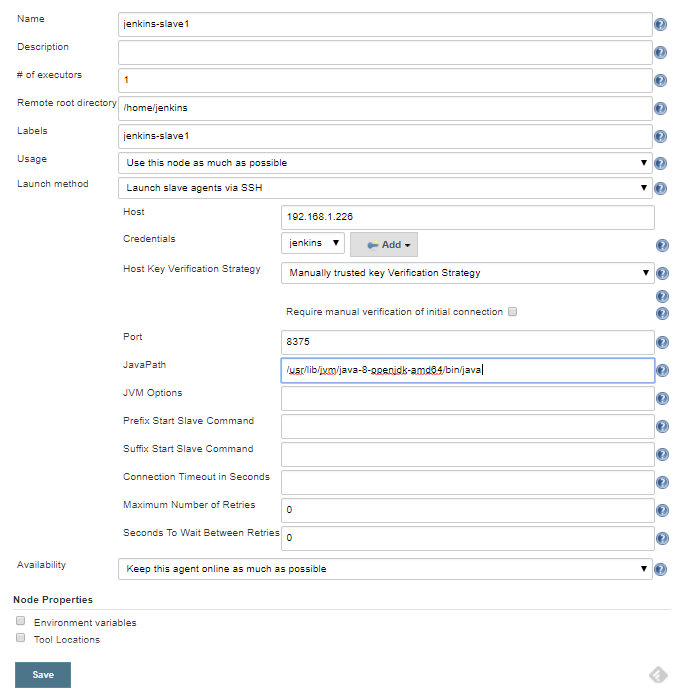 Create the public key in Jenkins Master and save it for later use. 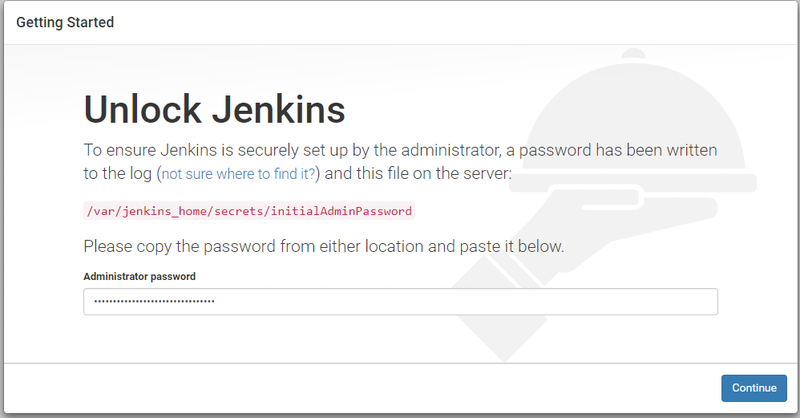 To do this access the Jenkins container and run ssh-keygen. 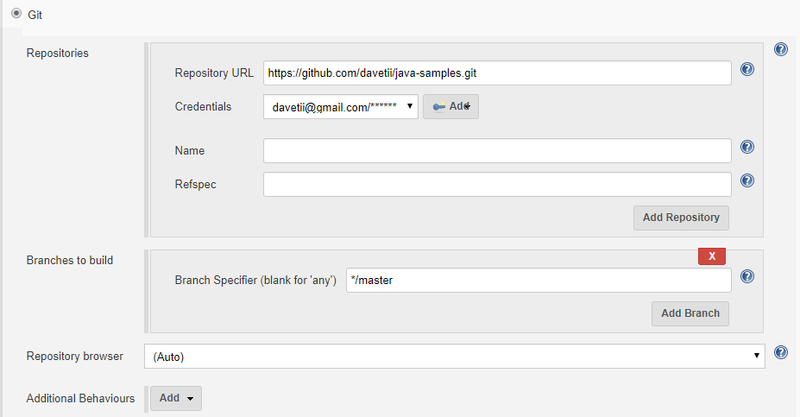 I am building a customized container that will support jdk8, Maven, Git and OpenSsh. To build custom containers in docker create a Dockerfile and run the docker build command on it. 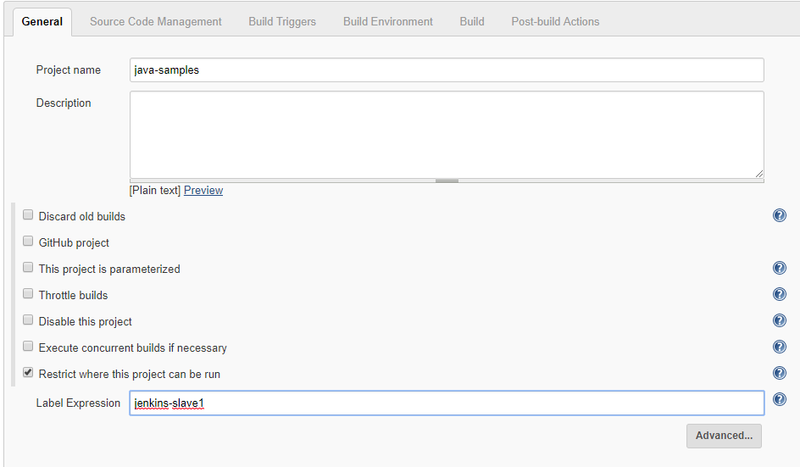 In this case 3 files where needed in order to generate the Jenkins slave image. RUN groupadd -g 1000 jenkins && useradd -d "/home/jenkins" -u "1000" -g "1000" -m -s /bin/bash "jenkins"
Note: using apt to install maven resulted in jdk7 being installed and overwriting java on the $PATH so I elected to install it manually. docker build -t slave1 . Slave node configuration should look something like this. 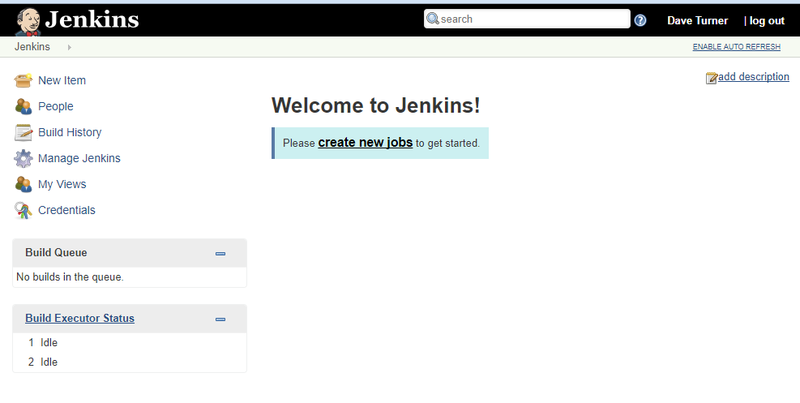 Click new item from top of Jenkins screen and create a new Freestyle project. If everything is successful it should result in a screen like this. I am finding docker a really interesting technology. Its a great enabler for any team or organization I hope to post many more entries regarding the different ways I am using docker. Hoping you found this useful… good day.